Not everyone who racks up credit card debt does so with irresponsible spending. Some people see card balances balloon by not understanding their credit terms or tracking their payments and interest rates. Others run into financial problems that necessitate increased use of plastic. Understanding factors that can cause your debt to rise will help you avoid these potential pitfalls. If you make more than you spend, it’s easy to think you can live without a budget. A budget isn’t only a method for setting spending limits -- it’s the critical tool for planning and tracking what you spend, which can help you spot problems before they get out of control. 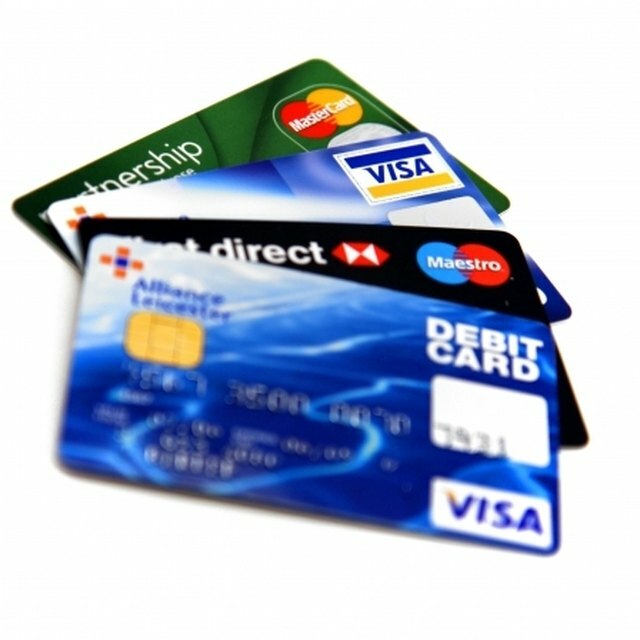 Without tracking your spending on discretionary items such as dining out, entertainment, hair, nails, music purchases, furniture and electronics, you can quickly add thousands of dollars to your card each year. Just spending an extra $10 per week on lunch adds more than $500 to you card each year. Do this with four other spending habits, such as coffee or movies, and a couple will put more than $5,000 worth of annual purchases and interest on their combined cards. If you don’t pay your bills of time or completely miss payments, you can trigger a sharp increase in your interest rates, generate penalties and lower your credit score, which can lead to higher interest rates or denial of credit in the future. For example, you miss a payment on a card with a no-interest balance transfer rate on which you have a $5,000 balance. Going from 0 percent interest to 22 percent interest on that balance, you’ll generate more than $1,000 in interest payments per year. When people lose their jobs, they often have to run up or max out their cards. There may be no avoiding this for some people, but once you’re back on your feet, you’ll need to start attacking that debt, or the interest can keep you buried for years. This means that after you get a new job, you might need to forget about that attractive 401(k) match your employer offers and use that money to reduce your card balances. Medical bills, divorce, underemployment and gambling are four of the top 10 reasons for credit card debt, reports Steve Bucci on Bankrate.com. This is why many people create an emergency fund that helps them through times of unplanned financial stress. Purchasing a disability income insurance policy can help you keep cash coming in to pay your bills in the event you aren’t able to work. The reality of high credit card debt for many people is that they spent money they didn’t have and couldn’t pay back. Thinking that $2,000 flat-screen TV only costs you only $20 per month in payments is dangerous, especially when you factor in your other spending and the interest on that spending. If you can’t pay cash for something, think about whether or not you should be making that purchase.